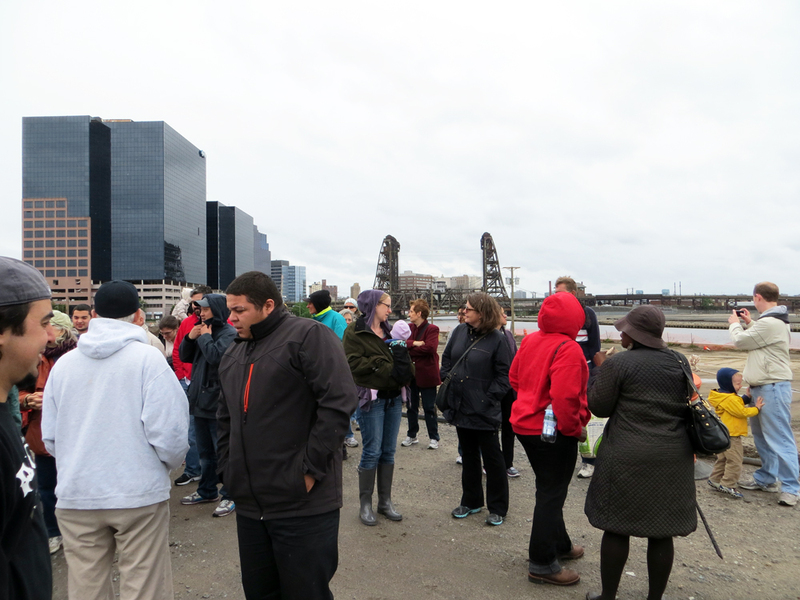 Dire weather reports and cloudy skies failed to keep a band of Newark riverfront walkers away from today’s hard hat tour. 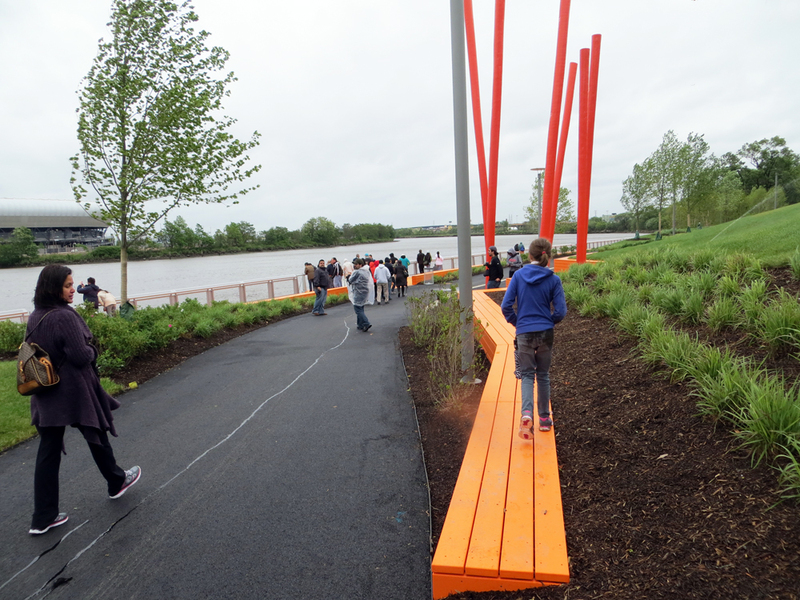 …and pondered traffic re-engineering Raymond Blvd to balance needs of pedestrian park-goers and drivers. Planting has been done only in last few weeks. 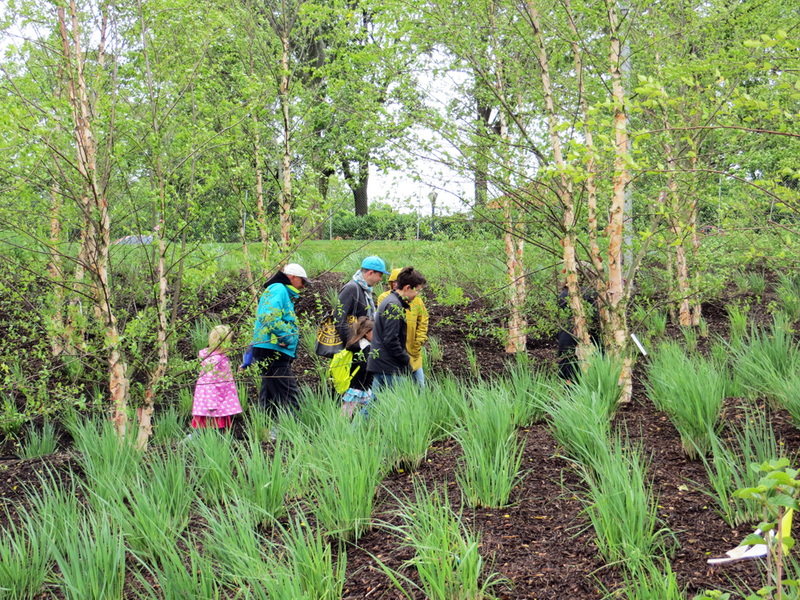 These are river birch trees. Assembleyman Albert Coutinho inspected the premises. 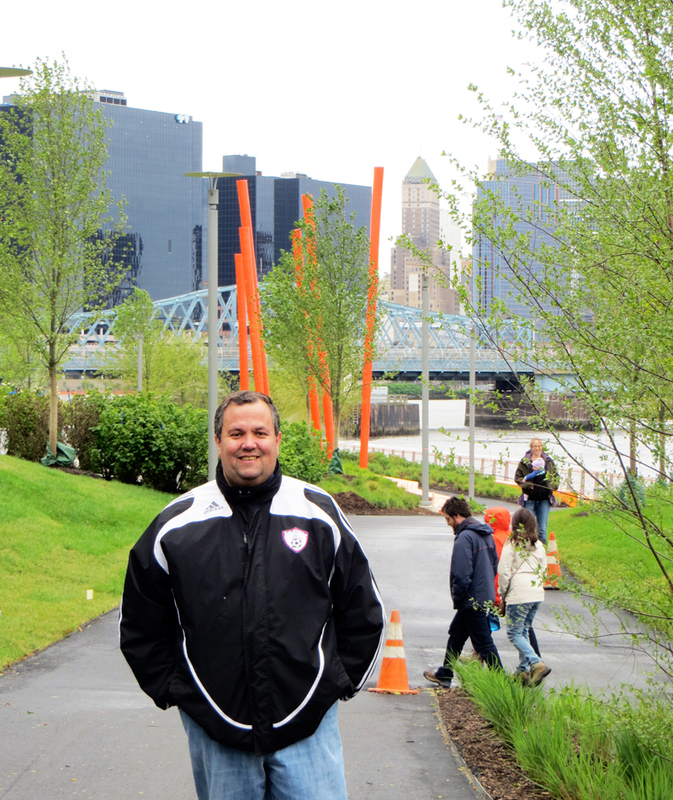 Former Market Street Gas Works, currently being remediated by PSE&G, perhaps a future extension of riverfront park. 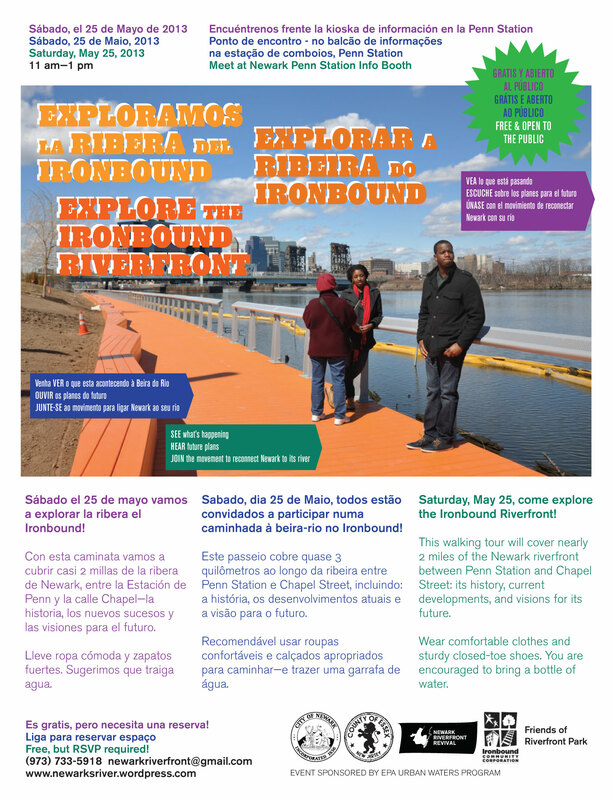 This tour was organized by Newark Riverfront Revival and Ironbound Community Corporation with support from an Urban Waters Small Grant from the US Environmental Protection Agency. 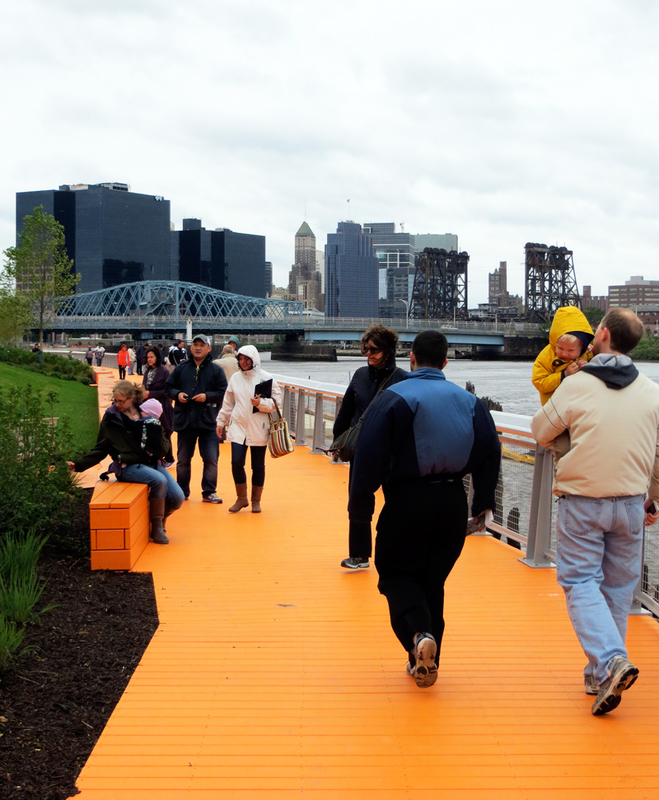 This entry was posted in Building Things, Public Programs on May 25, 2013 by NRR. 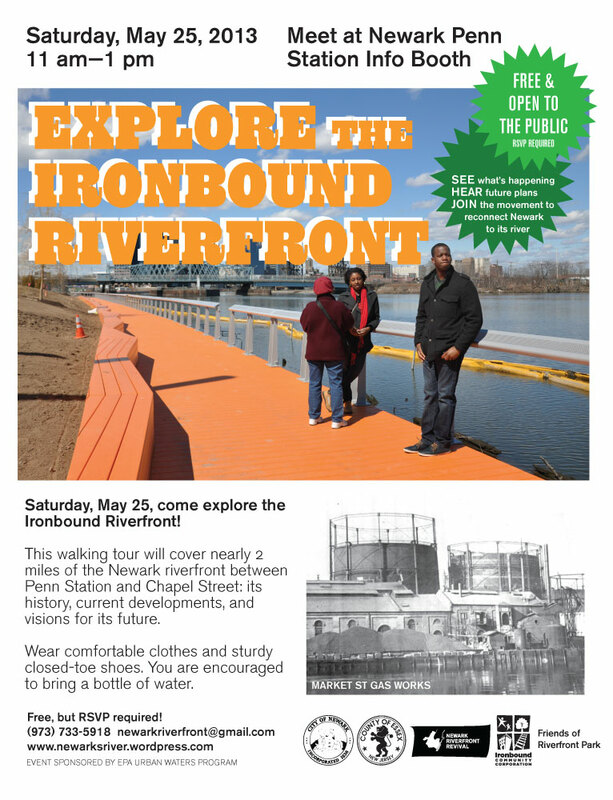 On Saturday, May 25, come explore the Ironbound Riverfront! 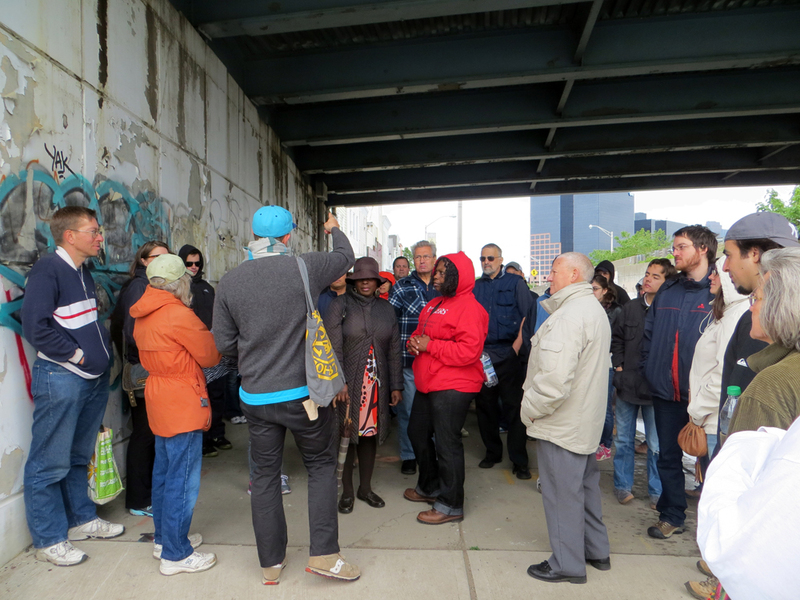 This walking tour will cover nearly 2 miles of the Newark riverfront between Penn Station and Chapel Street: its history, current developments, and visions for its future. 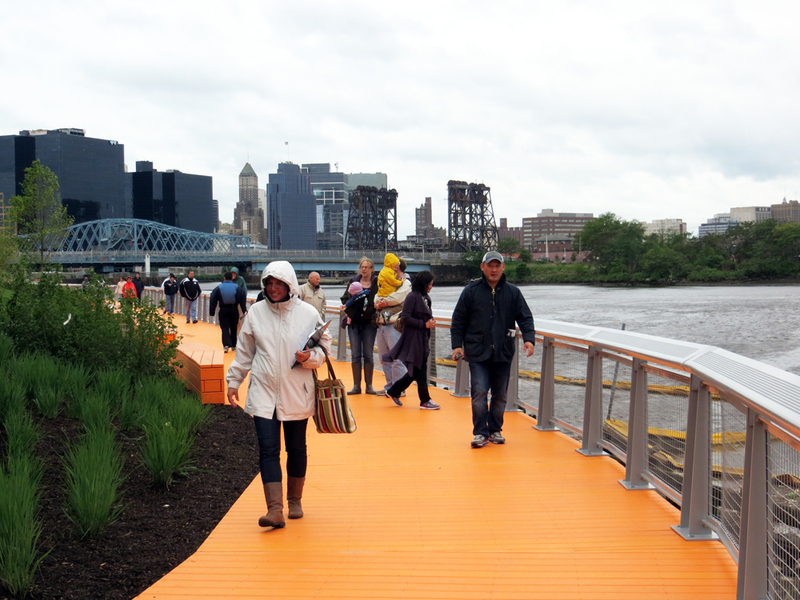 Newarkers have been working for more than three decades to create public access to the river; come see how far we’ve come! Wear comfortable clothes and sturdy closed-toe shoes. You are encouraged to bring a bottle of water. 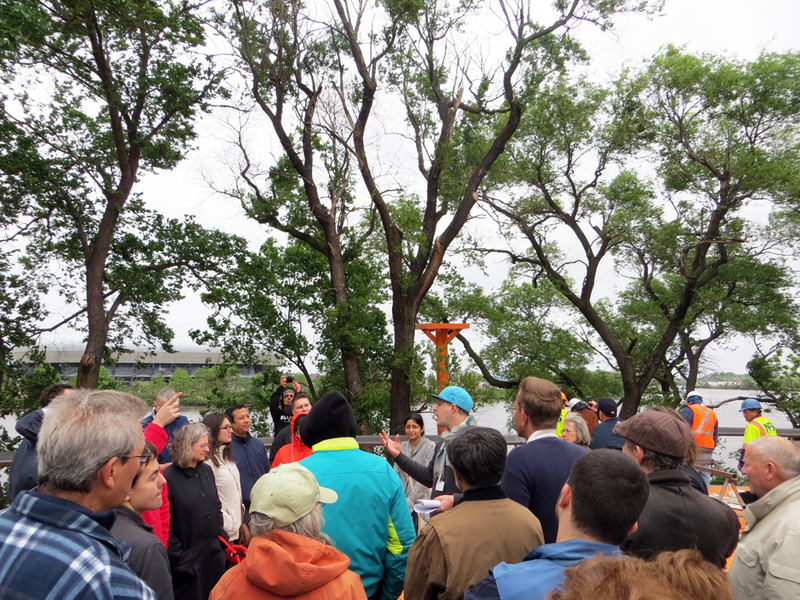 UPDATE: The tour has reached capacity, but please call or email to be placed on the waiting list and to receive news of future tours. This entry was posted in Public Programs on May 15, 2013 by NRR. 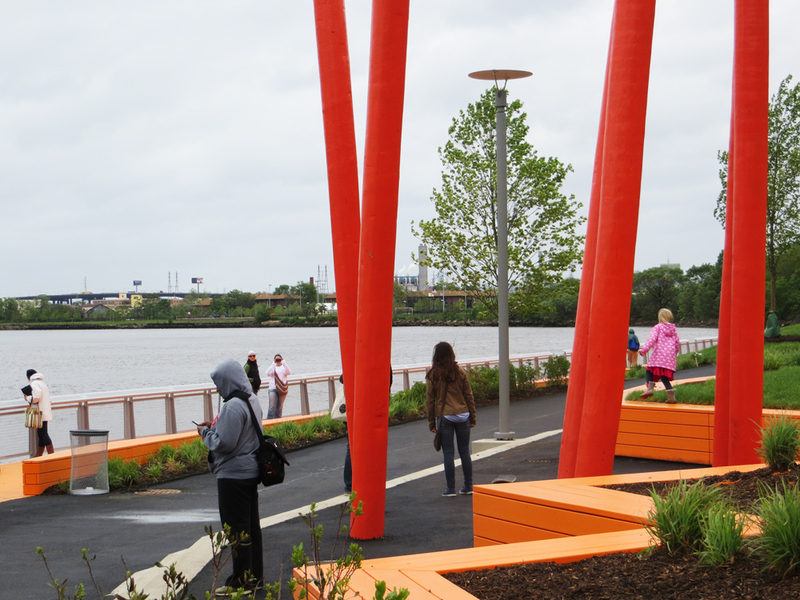 Help finish the Welcome Sign for the next piece of riverfront park! UPDATED Thanks to everyone who shared their suggestions and comments. We got great ideas like adding Kreyol (Newark’s fourth most-spoken language) to the welcomes and showing Speedway School in the West Ward. 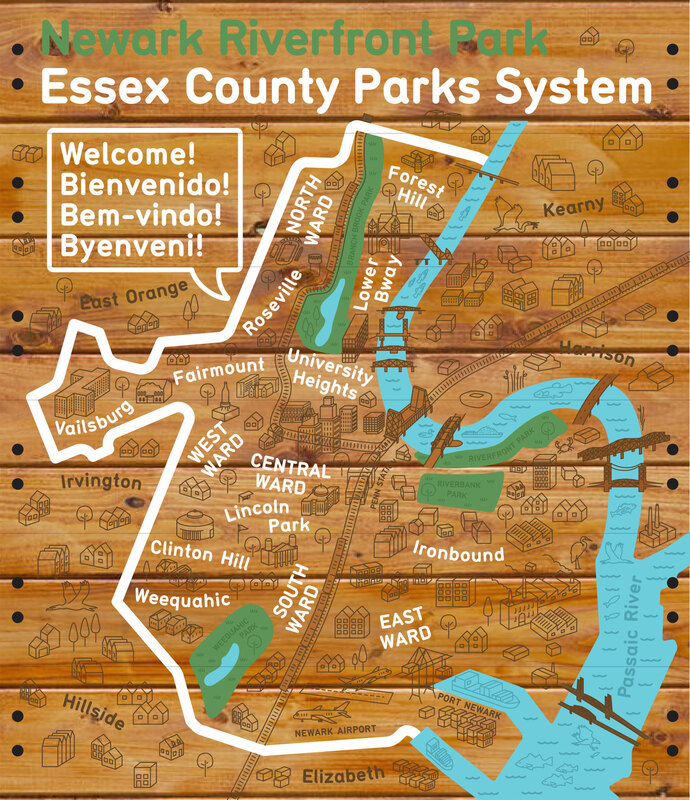 Sorry we can’t show every park or every Essex County park in the city! 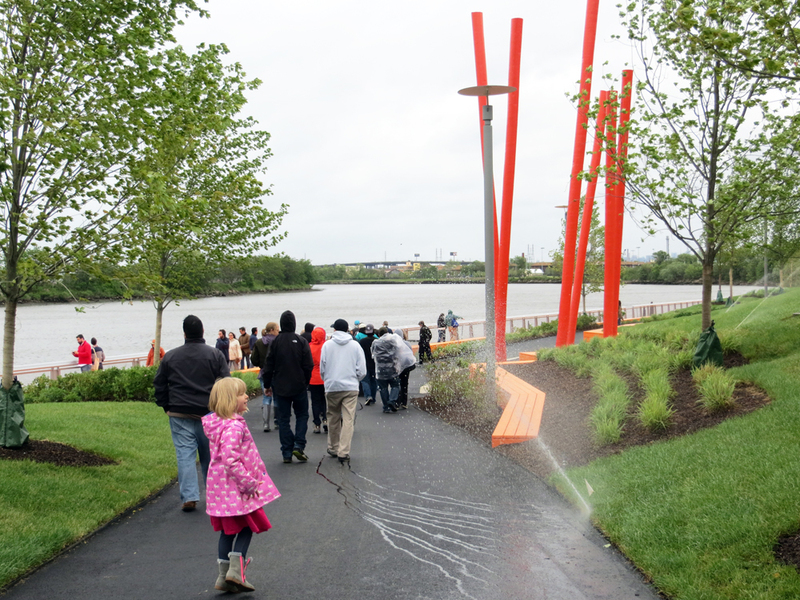 Help us finish the welcome sign for the second segment of riverfront park. What buildings do you recognize or not? What looks good? What looks funny? Post comments here or write newarkriverfront [at] gmail.com. 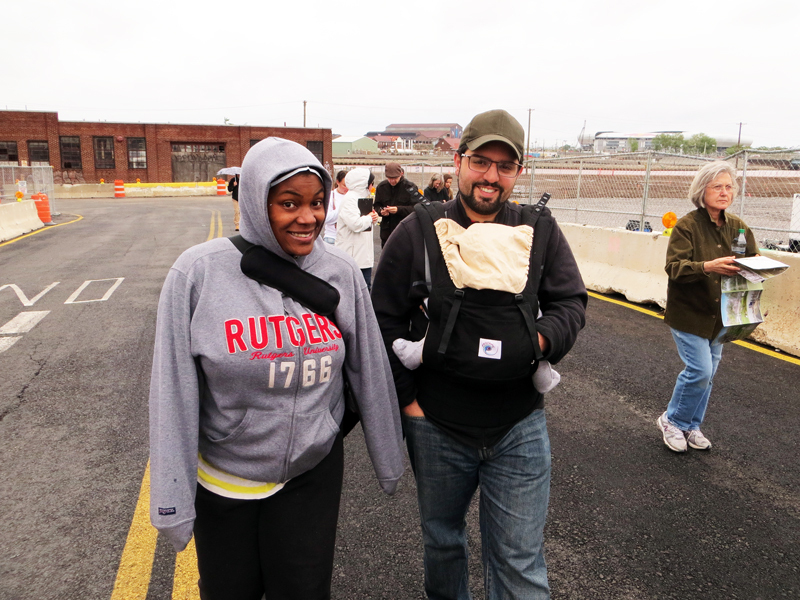 This entry was posted in Building Things on May 6, 2013 by NRR.